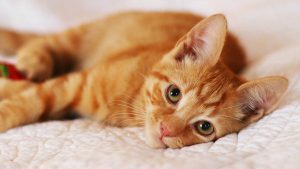 When we think of a cat broken leg, excruciating pain, discomfort and panic are the feelings that usually come to mind. A broken leg is a horrible injury for your cat to suffer, but unfortunately it does happen from time to time. The trouble is, cats can’t tell us in words what has happened, or where it hurts. So, it’s important for us to know how to tell if a cat has a broken leg. And once you know if your cat’s leg is broken or not, you likely want to know how to care for your injured kitty, and how long the healing process will to take. Let’s look at the answers to some of these questions. Unfortunately, it can be very difficult to detect when a cat is in pain. It is quite common for a cat that is suffering to withdraw and hide away. So, this may leave you wondering how to tell if your cat has a broken leg? If your cat has broken a leg there is one fairly big giveaway, even if the break is not visually obvious. Usually a cat will not walk on a broken leg at all. So, if your cat seems unable to use one of their limbs, there is a good chance it is broken. If the leg is twisted at an unnatural angle, or even worse, the bone is sticking out of the skin, you know for sure that the bone is broken. Of course, in all of these instances, you will need to get to the vet as soon as possible. Can a Cat’s Broken Leg Heal on its Own? If you suspect your cat has broken a leg, you must take them to the vet for an examination. Regardless of the diagnosis, or how the vet decides to treat the injury, handling the pain the cat is experiencing is top priority. An often-googled term is “cat broken leg untreated”. Sadly, this indicates that some cat owners may be pondering whether they need to take their cat to the vet at all when they have a broken leg. It may also indicate the someone has come across a kitty that they suspect broke their leg in the past and never received treatment. If a cat with a broken limb is left untreated, the cat will be in great pain. If the cat survives, it will most likely be left permanently disfigured, and without full function of its limb or limbs. There is also a risk that the cat may have received secondary injuries which could prove fatal if left untreated. Your vet will determine the best way to treat the broken limb. Sometimes surgical treatment such as pins and plates are required. At other times non-surgical treatment, such as casts and splints are the best option. None of these are treatments which can be carried out at home. For some owners, the cost of treating a fracture may worry them. Most vets will take your financial position into account when the decide how to treat the injury. In many cases, there is more than one treatment option available. Talk to your vet about your financial position, and you should be able to come to an arrangement which is best for both your cat and your bank balance. 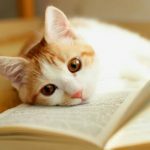 The first few days after treatment, particularly if it involved surgery, your cat will likely have to stay at the veterinary hospital. If any infections develop, or problems with the placement of plates and pins comes to light, they can be addressed quickly. Most vets are keen to let your cat come home as soon as they are able, so they are in familiar surroundings. This will help the healing process. 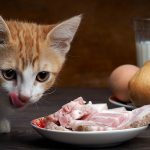 Your cat may also lose their appetite while at the vets, much like when we stay in hospital! Once the cat is at home, your vet may have given them some medications to take such as painkillers or antibiotics. Make sure you give them to your cat as directed. You may also need to keep your cat in a confined space. Often a smaller room without any items they can jump from is a good option. 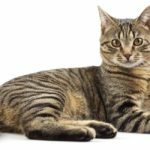 Sometimes, allowing your cat a small amount of movement is a good idea so that their muscles stay strong, which will aid in the healing process. Your vet will provide you with direction as to how much activity your cat should be encouraged to engage in. How long before your kitty is back to their former self will differ from cat to cat. Broken leg healing time depends on the injury, the age and general health of the cat and the way the injury had to be treated. 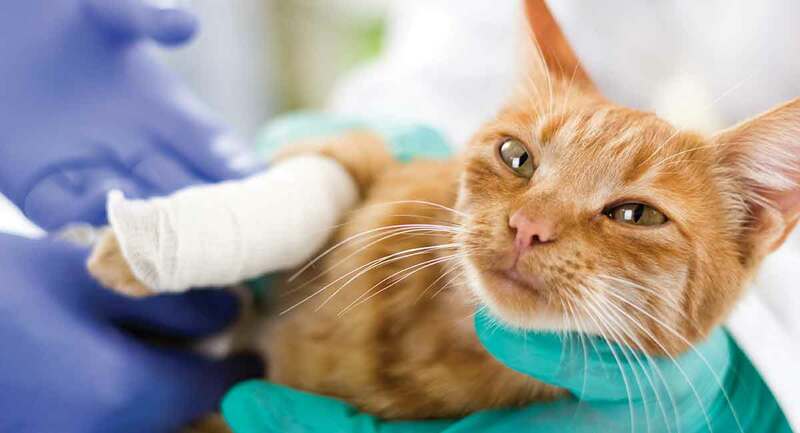 According to a UK survey, 96.7% of cats with a broken bone which were treated experienced a satisfactory outcome. If the injury occurred around a joint, there might be some lasting effects in the form of stiffness and a decreased range of motion. So, if you ensure your furry friends gets the proper care, the outlook is good. 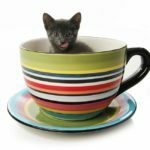 My Cat Has a Broken Leg – How Did It Happen!? Knowing how your cat broke its leg will likely have no bearing on how the fracture is treated. But it might help you implement some strategies to prevent it from happening again. The same UK survey I mentioned earlier found that young cats under 3 years old are the most likely to suffer a broken bone. So, if you have a young whippersnapper in tow, be sure to keep an extra special eye on them. Male cats were also more likely to suffer a fracture than their female counterparts – perhaps because they are more likely to roam in search of a mate. The most common cause of broken bones in felines was car accidents. So be very careful about the access your kitty has to the road. Finding your cat has a broken leg is distressing. Both for you but more so for your cat! But there is good news for you and your cat. Broken legs, when treated appropriately, heal well. Have you ever had a cat with a broken leg? What was the outcome and how was it treated? Rodan, I., Heath, H., “Feline Behavioral Health and Welfare”, Elsevier Health Sciences, 2015. Buzhardt, L., “First Aid for Limping Cats”, VCA Hospitals, 2017. Phillips, I.R., “A Survey of Bone Fractures in the Dog and Cat”, Journal of Small Animal Practice, 1979. Harare, J., “Bone Trauma in Small Animals”, MSD Veterinary Manual, 2004. Ward, E., “Surgical Pins and Plates in Cats”, VCA Hospitals, 2011. Feb 8th 2019, our one year old kitty Leia came home with a broken femur. We have no idea how it happened and we aren’t that close to the road, but our trees were covered in ice and we think she was chased up one and fell. It was broken in 2 places and the middle piece was split length wise. Vet was excellent, put a pin in it and put her back together and kept her for 3 days and his price was very reasonable. We’ve had her in our pantry now since then and she’s getting a little stir crazy as she is an outdoor kitty and used to being outside. (My husband and I are both allergic to cats, but people dump their kitties out here and Leia’s mama adopted us and got pregnant before we could get her spayed). It’s now been 2 weeks since her surgery and she is using it a little but limps. He said to keep her confined for at least a month. I am wondering if we can let her out with the other cats after that? How long before she stops limping? She has no cast on it. I am worried about her wanting to jump. I want her to heal well from this.